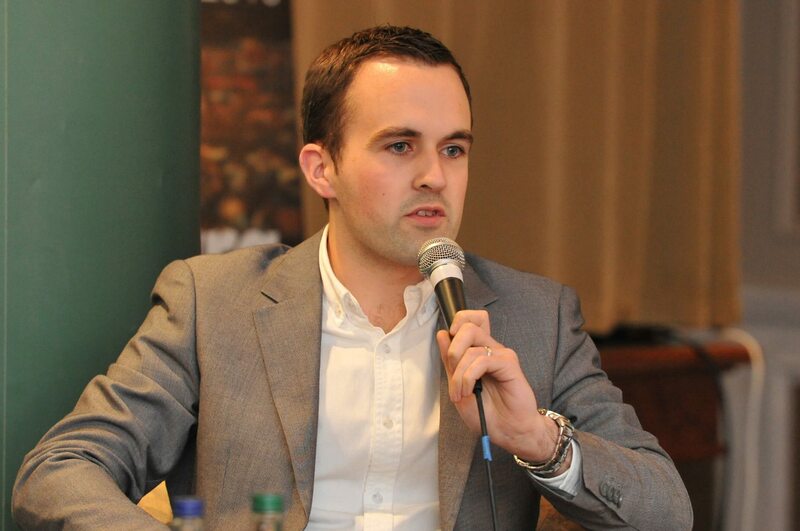 Kildare County Councillor and candidate for the 2019 local elections in Newbridge District, Rob Power speaks at the Fianna Fáil Ard Fheis on Childcare. On Saturday last, (23rd Feb) I had the pleasure of addressing the Fianna Fáil Ard Fheis on the issue of childcare. If I’m honest, it’s not a topic I would have known a lot about when I first ran for election five years ago, but with two-under-three in my house, it’s something I find myself talking to other parents about a lot more. Fine Gael seem to be so focused on announcements and plans that there really is very little happening in tackling the real issues facing parents. In the childcare sector, ever-increasing costs are forcing parents to choose between a career and parenting and that’s just wrong. In my own daughters creche, I know that insurance costs will go up FIVE TIMES higher this year than 2018. That cost is being passed on to parents directly. On Thursday 13th December, Fianna Fail members gathered in the Keadeen Hotel to choose their candidates for the Newbridge district in next May’s local elections. Councillor Robert Power and Noel Heavey were selected. 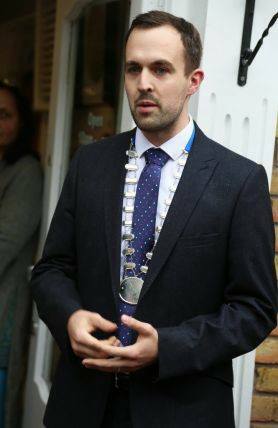 By all accounts it was a smooth transfer of “Power” as sitting Councillor for Newbridge and Mayor of Kildare, Sean Power did not contest the convention having previously announced that he would stand down at the end of this term. His son, Robert, will now take up the mantle in the Newbridge area, half of which has been moved from the Naas district where he has been a Councillor since 2014. This morning the Taoiseach doubled down on comments Eoghan Murphy made yesterday and attempted to deflect blame to County Councils saying that they are not doing enough to tackle the housing crisis. The reality of the situation is that Minister Murphy’s department published guidelines in June which will effectively mean dezoning swathes of residential land in Kildare and the greater Dublin area. This was done without consultation on the impact at a local level. It will mean that 6,000 houses fewer will be built in the next five years in Kildare alone. The guidelines will also mean reductions in Meath, Wicklow and other counties currently bearing the brunt of the housing crisis. The guidelines have also instructed councils to stop working on their County Development plans. Six weeks ago Kildare County Council passed my motion agreeing to ask the Minister to explain how this plan would impact on our county. It’s extremely frustrating to be sitting hear six weeks later listening to an Taoiseach and a Minister criticise local government when he is yet to address the real concerns we’ve put to him. On Friday 3rd August I joined Shane Beatty in studio to discuss the details of this plan and how it will impact on County Kildare. (Interview begins at 4 minutes in). 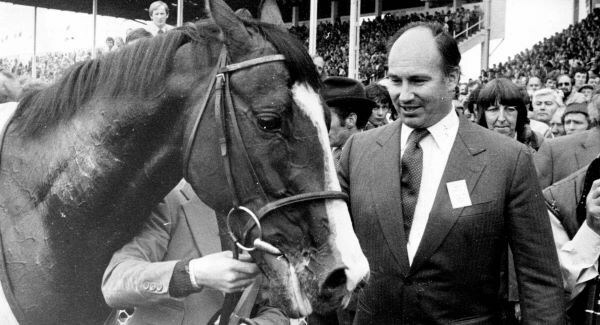 This week, 35 years ago, just before midnight on February 9th the Dáil sat to hear a special Private Notice Question from Deputy Paddy Power on the issue of “Larceny of Racehorse”. The loud laughter bespeaks the vacant minds on the opposite benches. This assures me that there is a great lack of knowledge of the seriousness of this case on their part…I am not in a position to make the Deputies opposite take the matter seriously, but I hope that they will, because I do. Today I’m delighted to see the approval of Enterprise Ireland funding for a digital hub in Naas. The Mid East Regional Innovation Think Space (MERITS) is a new build project that will cluster Irish and international new technology companies in a collaborative space in Naas town centre. There was a great turnout at the Naas Wild Food Festival on Saturday where I had the pleasure of launching the “Naas Engagers” App. This is an innovative new community mapping project and will provide an opportunity for the people of Naas to put forward and share ideas for the revitalisation & regeneration of Naas. A key part of this pilot project is a mobile phone App that has been developed by Space Engagers, supported by the Social Innovation Fund Ireland in association with Google. 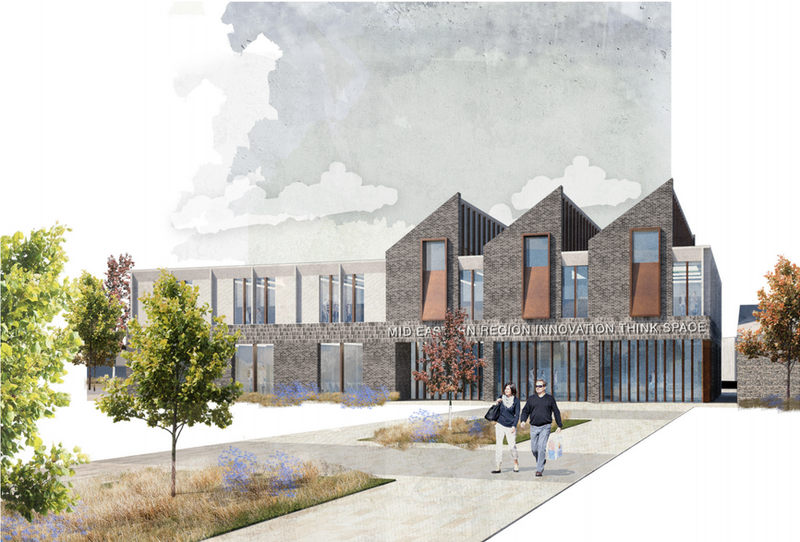 The Naas URBACT Local Group, is leading this project as part of an European Union initiative, called “ The City Centre Doctor Project”, the aim of which is to develop a Naas Town Team and to plan for the regeneration of Naas . 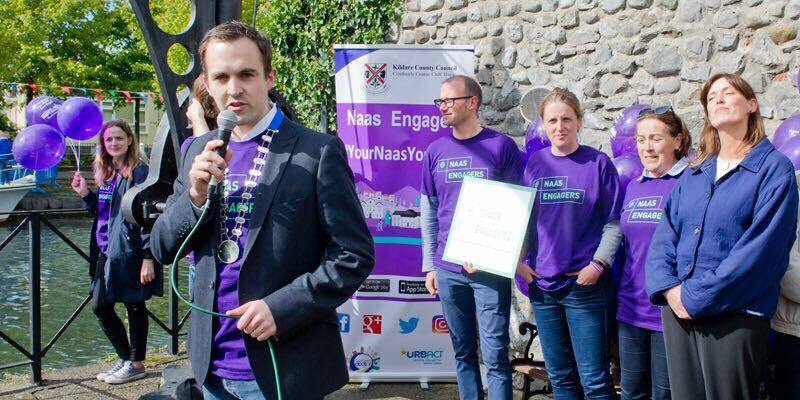 Naas Engagers will enable local people to share stories and information about places in the town and to make suggestions as to how some of them could be reused or improved. The aim is to encourage people to think about their town and how they would like it to develop. I’m really proud that Naas is one of only 4 towns in Ireland to trial this digital solution to help rejuvenate town centres. Search the App Store for “Space Engagers” and get tagging your ideas for Naas! Last week was another step forward in cleaning up the environment in Naas. Three pictures below from 2011, 2017 and the last is a plan for 2023. Six years ago noxious gases filled the air in Naas, Johnstown and surrounding areas. 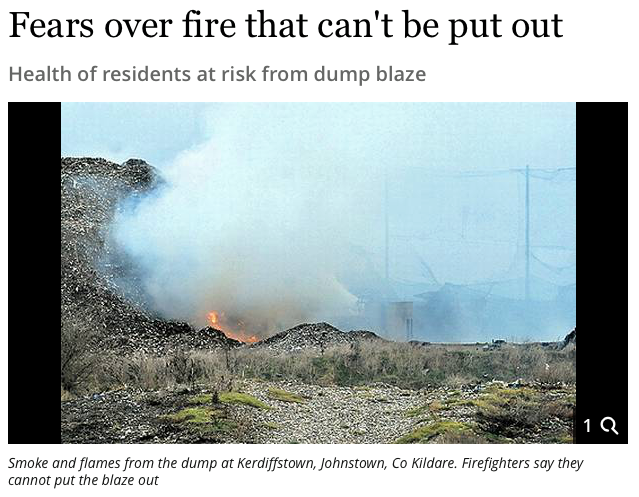 The fire at Kerdiffstown dump was a very serious threat to the quality of the environment for residents nearby. Since then, lots of work has gone into securing the site and making plans to ensure this dangerous situation is never repeated. 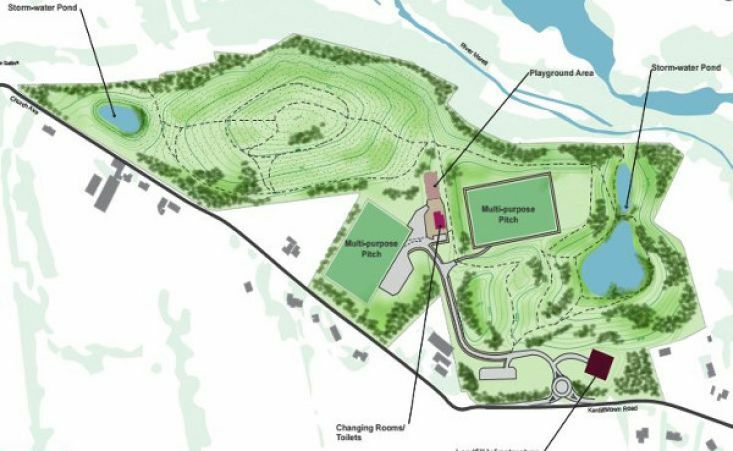 This week I was proud to oversee the signing of the Compulsory Purchase Order and planning files to change this 74 acre landfill into a public park with all purpose pitches, walking routes, planting and a playground. Still a long way to go but huge credit due to the team in KCC who have taken the project to where it is today. The Naas district covers an area from the Dublin border in Kilteel, south to Kilcullen and Ballymore taking in Naas and the surrounding villages and townlands. The CSO tells us it has a population of around 50,000 of which the average person is only two years older than they were at the last census five years ago! We are the only district in Kildare that has a net inflow of commuters each day. We are a district of 18,000 houses but as I write this, only 25 for rent. There are certainly both challenges and opportunities facing our district and I’m honoured to have been elected Mayor for the year ahead. 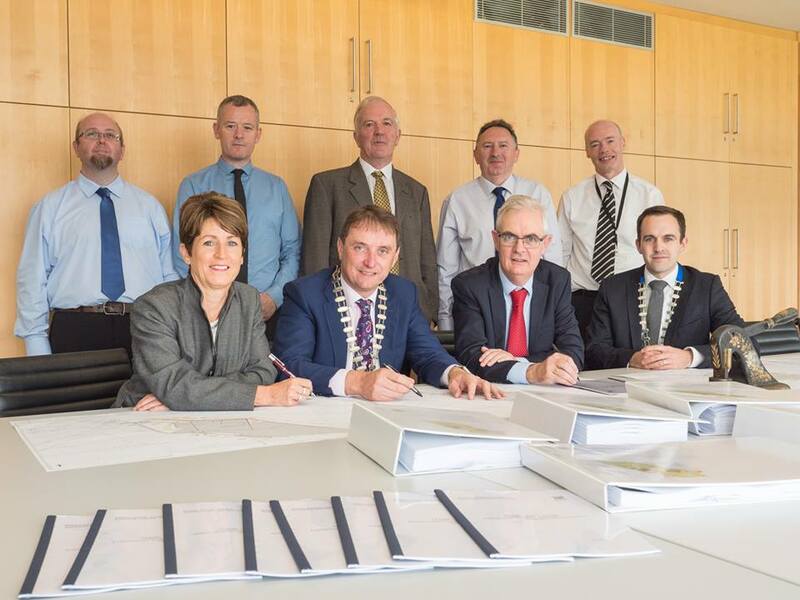 In issuing a draft directive, the Minister states that he believes that Councillors have ignored, or have not taken sufficient account of submissions or observations made by the Minister to the planning authority. In my statement last month at the council meeting I made it clear why we were making the decision against the Chief Executives advice and dealt comprehensively with the idea that we were ignoring the Minister’s advice. Below are the comments made by me at the special meeting of the Naas Municipal District in considering the Sallins local area plan. Last year I wrote a policy document on supporting the Technology Sector with some fellow Fianna Fáil members who were also working in that area. One of my main proposals within that document has now been announced as part of the Fianna Fáil manifesto under Creating Jobs and Supporting Enterprise. Fianna Fáil have committed to the “Development of Regional Digital Hubs”. Through my work in Digital Marketing and in Kildare County Council I know the benefit this proposal could bring. Not only does this have the potential to create 7,000 jobs and hundreds of new companies over the next ten years, it will also give county councils a role in their own local economies and revitalise empty shop units bringing this so called ‘recovery’ out of the capital and into the town centres that continue to struggle. The Regional Digital Hub will act as an office space for digital focused firms. Having a hub allows for a concentration of necessary resources such as high speed broadband, meeting rooms, office facilities, mentoring workshops and so much more that is currently out of reach for many “kitchen table” entrepreneurs. Running this programme through the network of local authorities has additional benefits; it allows for a close link to existing Local Enterprise Office expertise and resources and encourages councils to incentivise business start-ups in their area. While this is something that will be managed by County Councils, it will require government to kick start the fund. Just like I worked to see the policy published ahead of the election, I’ll continue working to ensure it’s implemented after the election!